Caption slip reads: "Photographer: Monteverde. Date: 1957-03-29. Assignment: UCLA track star. 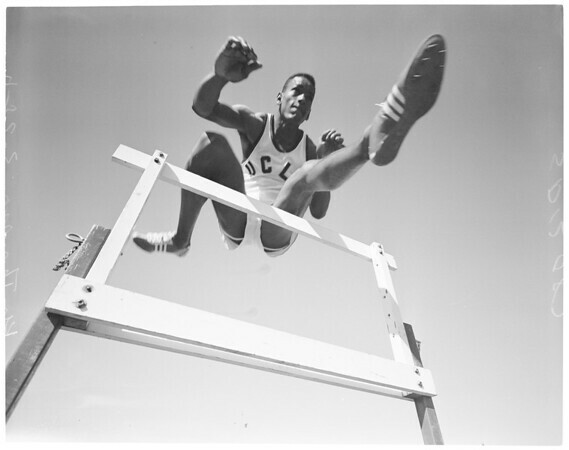 On the Hi Hurdles is Ken Thompson".